Who doesn’t like their honky-tonk mixed in a blender with some surf rock riffs and punk rock attitude!? 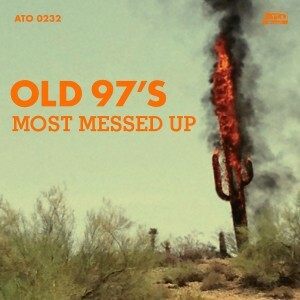 That’s what you get on the Old 97’s latest album, Most Messed Up. From the opening track (Longer Than You’ve Been Alive), you can tell this is going to be an album that’s fun. 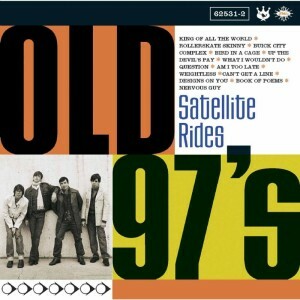 For being together for so long, this album is a throwback to the early days of the Old 97’s. Since Satellite Rides (another highly recommended album), there has been a shift to a poppier, more produced sound, while still pretty good, was moving away from the roots both of the band and rock. Now they’ve come back to the fast-paced, hot-licked style that got them noticed in the first place, with just enough space for a slow song or two to catch your breath. I found myself listening to it over the summer whenever I could, which was less often then I would have liked, partially because as they let loose stylistically, the lyrics drop a few more f-bombs than they have in the past, so it’s not for the faint of heart or young children. But it is a fun album, full of alt-country rock that touches on good times, introspection and reflection from a band that has grown from their time together, that is now harkening back to their youth with the maturity that comes with 20 years spent together with the same group of people.